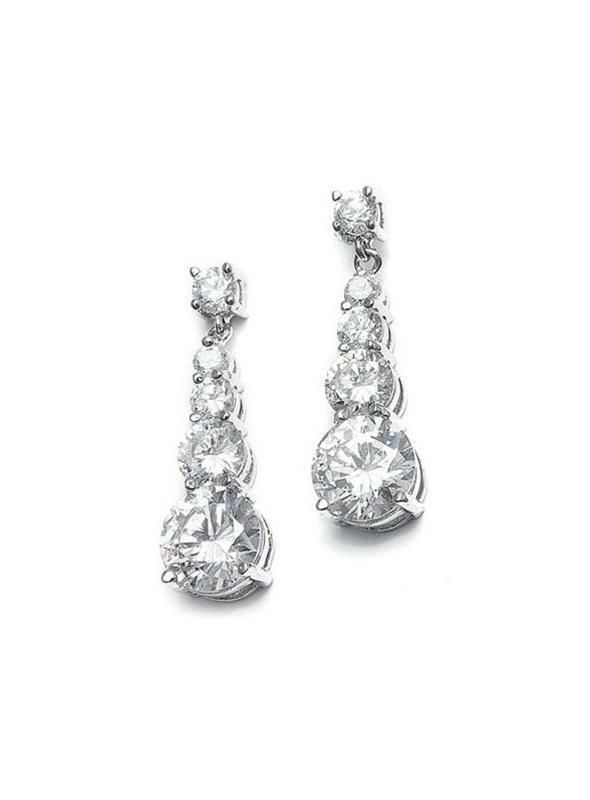 A lovely vintage inspired pair of silver plated earrings featuring graduated round CZ's, perfect for brides and second time around brides. 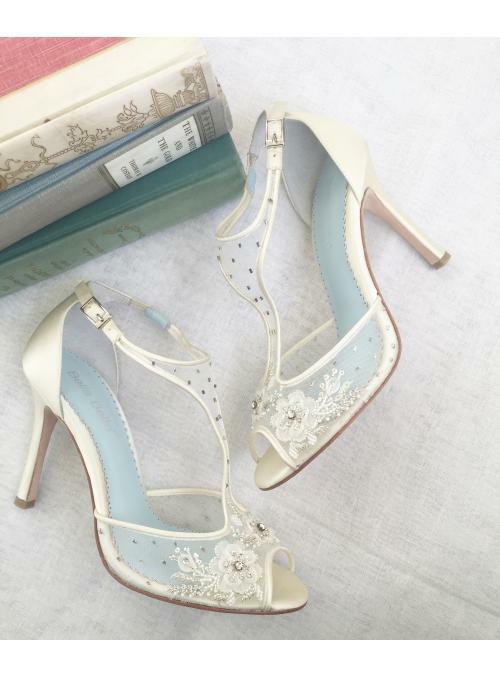 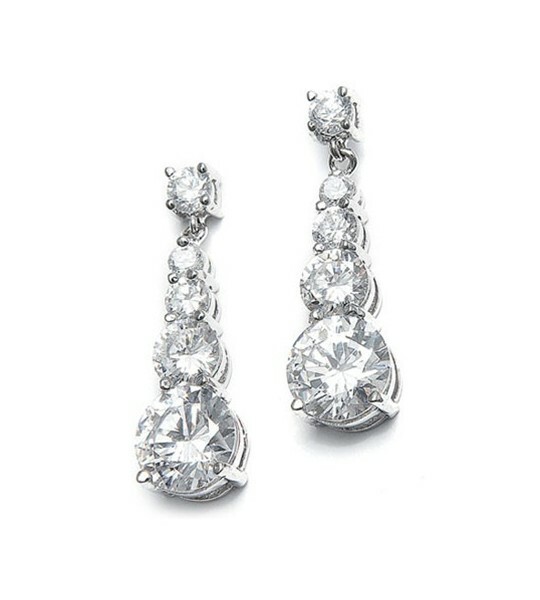 This gorgeous pair of vintage inspired earrings will enchant you with their round cubic zirconia stones which make them the perfect accessory for brides, second time around brides or mothers of the bride. 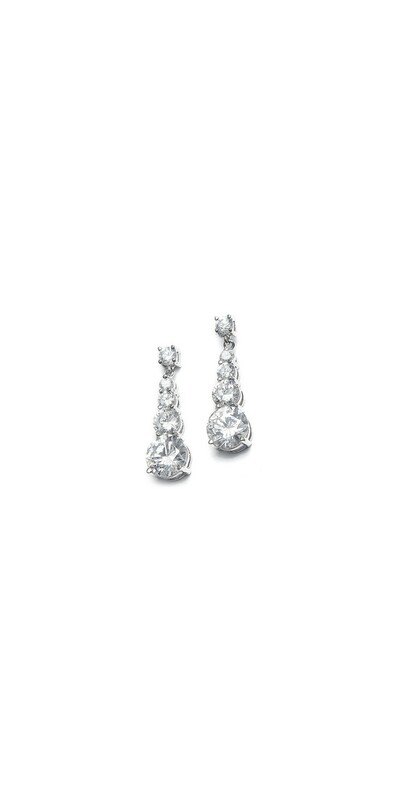 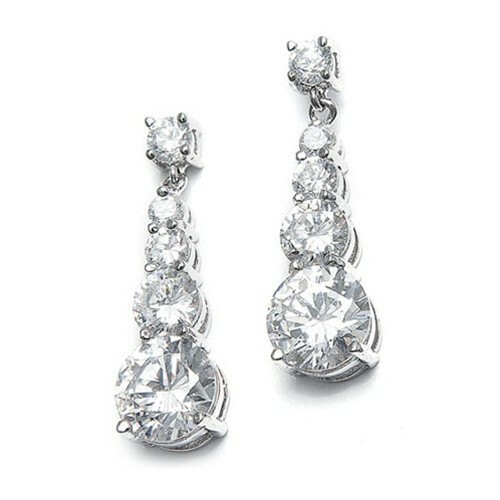 Measuring 1 1/8'' h, these fabulous vintage inspired silver rhodium plated earrings will add glamour to your evening gown.